Press Release: Sania Maskatiya launches Caia Eid-Ul-Azha Collection 2018...!!! Multi-award winning fashion house Sania Maskatiya has launched the 2018 Eid-ul-Azha Collection titled “Caia”. 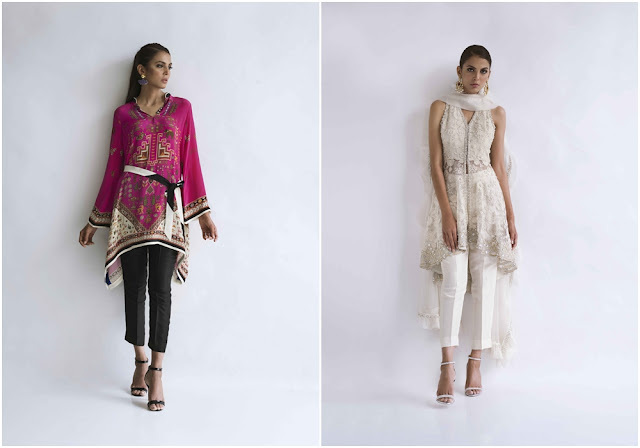 Elegant and feminine, Sania Maskatiya's Eid-ul-Azha collection features the brand’s signature detailing bringing together ensembles in symphony. With distinct cuts in luxe fabrics and signature prints for the festive season, this collection comprises of 22 designs available in multiple sizes. “Caia” is available at all Sania Maskatiya outlets in Karachi and Lahore, stockists and online at their official e-store www.saniamaskatiya.com.